Designed to resist concentrated acids and bases, the Ansell AlphaTec 85-300 CSM Medium-Weight Isolator Box Gauntlets provide excellent flexibility and comfort during use. Designed to withstand temperatures of up to 120°C, the AlphaTec Medium-Weight Gauntlets are long-lasting and can withstand ageing due to their resistance against exposure to oxygen, UV rays and oxygen. 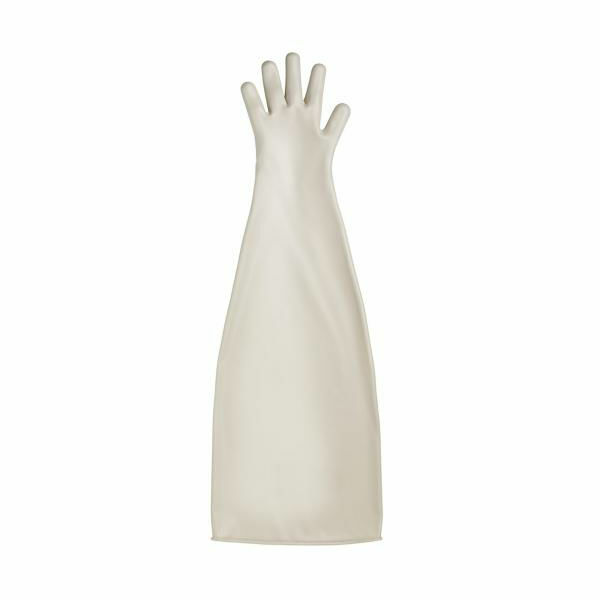 The Ansell 85-300 Medium-Weight Gauntlets are available in two sizes that should suit the hands of most users. Please measure the circumference of your hand around the knuckles (excluding the thumb) with your hand open and your fingers together, and the length of your hand from the tip of your middle finger to your wrist.